We provide HVAC consulting and design services focusing on energy conservation and environmental sustainability by utilizing Ground-Coupled Heat Pump (GCHP) systems. 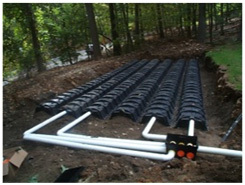 This is a climate change mitigation technology that relies on the thermal capacity of the subsurface to store heat during summer and release the same during winter for heating purposes. TBirdie Consulting is focused on the optimal design and operations of shallow geothermal systems by capitalizing on its expertise and knowledge in geohydrothermics. We also conduct soil thermal surveys and assess heat flow in shallow zones for establishing the subsurface energy balance in order to design cost-effective and efficient geothermal systems. The principal of our geothermal team has designed and analyzed GCHP systems at over 20,000 Department of Defense family housing units and over 250 commercial and public facilities for a total project value of over $65 million. He was the Engineer of Record for the design of the largest GCHP systems in the world at Fort Polk, Louisiana in 1994, which consisted of individual ground-coupled heat pumps installed at over 4,000 housing units at the base. This project was extensively monitored by Oak Ridge National Laboratories and formed the basis for the (Geothermal) Super Energy Savings Performance Contracts (Super-ESPC) program established by the U.S. Department of Energy. 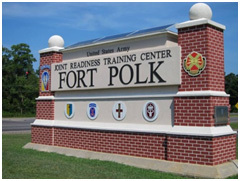 This project saved over 26 million killowatt-hours per year, or 33% of all electrical energy used in family housing at Fort Polk.